In our eBook Managing Staff for High Performance we explained how to manage staff on a daily basis using our Dynamic Performance Checklist. If this process is working well there should be minimal requirement for corrective action. However, we're all humans and we're all fallible, so there is always room for improvement, as well as issues that can lead to performance below expectations. 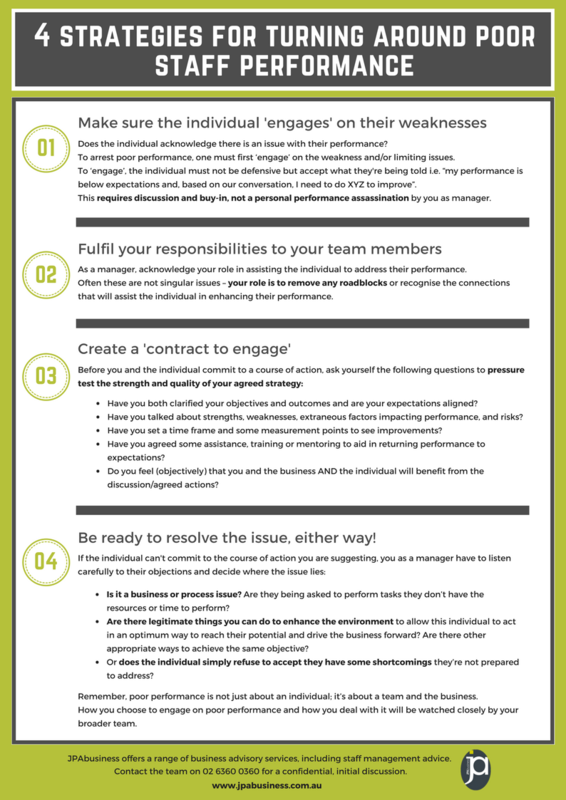 The following cheat sheet contains some of our strategies for turning around poor staff performance. If you choose to condone poor performance, you’re saying a lot about your expectations for the business to other team members i.e. those expectations are pretty low! If you don’t deal with an individual who is poorly performing with respect and in a professional and fair way, you’re also sending a negative message to team members about your business culture and ‘how things are done here'. While Performance in Review sessions and related discussions on poor performance are often sensitive, ‘behind closed doors discussions’, one golden rule is not to act in isolation. Talk to other team members and enlist their advice and feedback on the drivers and issues relating to performance. This needs to be done sensitively, but homework is important in getting an effective and lasting result. If you find there is more to the issue than just poor performance by the individual, then the business needs to act to refine the role or support the individual. If you find you’re dealing with an individual who may be a ‘square peg in a round hole’, you need to have a discussion about exiting the organisation or finding other roles within the business that may be more appropriate for their skills and capabilities. JPAbusiness offers a wide range of business advisory services, including staff performance management advice. Contact the team on 02 6360 0360 for a confidential initial discussion. 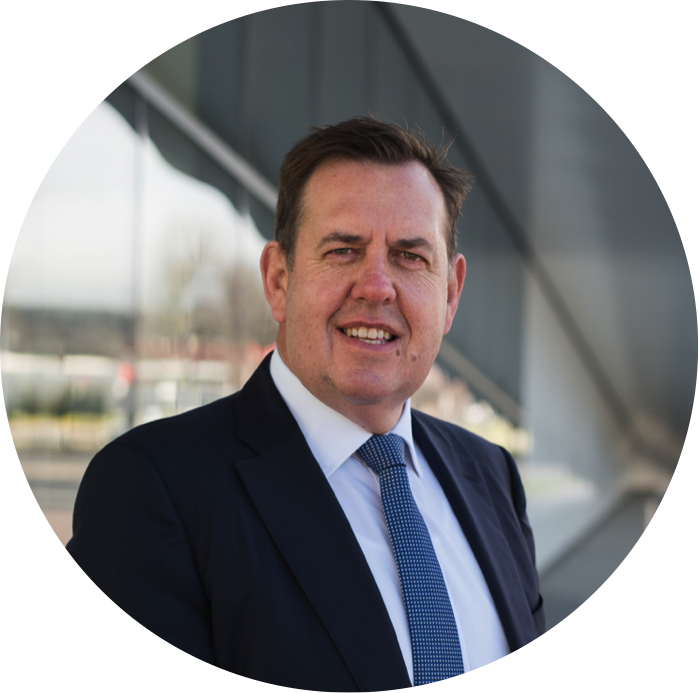 James Price has over 30 years' experience in providing strategic, commercial and financial advice to Australian and international business clients. James' blogs provide business advice for aspiring and current small to mid-sized business owners, operators and managers.